To do your computing job or to play your basic PC games, this ASUS EeeBook X205TA-DS01 is a perfect device, sturdy design, light in weight, thin and compact, it will exceeds your 11.6 inch laptop demands. For a 10 inch range, even lighter, consider the hybrid tablet model, Transformer t100tam-c1-gm touchscreen. This ASUS EeeBook X205TA-DS01 is designed for people who love compact devices and productivity on the go, the .69 inches thin and with less than 2.2 pounds for the weight, as well as nice comfortable full size chiclet keyboard, you will be impressed by how compact this ASUS EeeBook X205TA for on the go computing activity. With about 11-12 hours battery life you can take this ASUS EeeBook X205TA device anywhere you want without worrying about the short battery life and bothering your daily computing task. The amazing battery life is exclusively managed by the Super Hybrid Engine II power management ASUS system to enable you doing more without bringing your power cord anywhere. To support you to be more productive, ASUS offers Office 365 Personal version for one year subscription. ASUS EeeBook X205TA-DS01 11.6-inch Laptop includes Office 365 (Gold) is a perfect choice if you are a student of a professional to edit or work with your MS Word, PowerPoint, or Excel documents. It also includes OneDrive offering you cloud storage a nice 1 TB extra to save and access your documents, pictures, or more on the go. 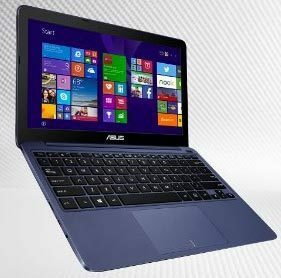 Now if you are looking for an awesome 13 inch range laptop, consider ASUS Zenbook UX305FA. Is ASUS EeeBook X205TA-DS01 performance enough? To enjoy everything you do with this laptop the ASUS EeeBook X205TA-DS01 has a 1.33 GHz Atom Z3735F Intel Processor which is built for longer battery life and yet still have a good performance. If you want more memory and power, look for ASUS f555la-ah51 laptop and its manual. This little device is optimized to accompany you every where you go to play and watching videos, listening to your music, browsing and of course working with your documents. ASUS EeeBook X205TA-DS01 features a technology called, “connected standby” that you can use to quickly resume your machine about 2 seconds in time to be ready to use from its standby time. When your laptop’s battery shows less than 5%, your smart laptop can backup your data automatically to make your work more secure.